A close friend’s wedding invited me to the beautiful state of Rajasthan. I knew that this was a much needed getaway from the stress filled work life. It took less than 10 minutes to book my tickets on a direct flight to Jaipur however, on the return leg I had something else planned. A plan which took almost 1.5years to execute. It was a sunny Tuesday morning and my friends had already decided to stay back to enjoy the beautiful Rajasthan and its rich culture. But I’d to make my way back home as work was already calling. My friend’s cousin offered us all a drop till Jodhpur. And from Jodhpur, I had only one option. Prior to my departure from Jodhpur, I checked the only two operator’s websites which offer direct bus services to Bangalore from Jodhpur. Without further hitches, I booked a seat (#1) on VRL. I reached Jodhpur around 3pm and rested as I had an epic journey in the making which was few hours ago. After a brief nap, we headed out for dinner. At around 8pm, I got a message with my Bus number and the boarding point details. 21:00hrs- Rajasthan Food at its best!!! I was enjoying a lovely dinner with my friends when at around 9:45pm, I got a call stating that my bus has arrived and also most of the passengers have arrived too. I informed the pickup man that I was having dinner and was near the pickup point. He acknowledged and requested to check in by 10pm. After enjoying my dinner, I headed to the pickup point which was just 5minutes away. The plain white B9R greeted me and right behind him was his competitor getting ready for departure. I boarded the bus and found around 15 passengers staring at me. I stashed by luggage on the overhead carrier and settled down bidding good bye to my friends. The upkeep and maintenance was of typical VRL standards. The pickup man informed the crew that there were few passengers boarding in Pali and Sanderao and handed over the trip sheet. Final formalities were finished and we departed 10minutes before the scheduled departure. The traffic from Jodhpur was next to empty as the bus quickly zipped passed the streets of Jodhpur. 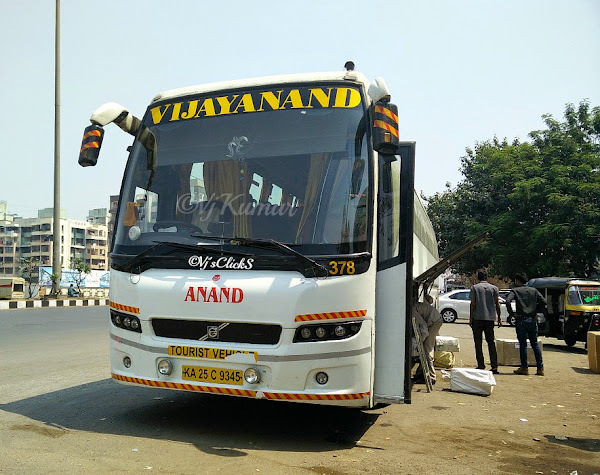 We entered Pali in an hour only to spot the B9R of SRS already picking up his passengers. We exited Pali and started trailing SRS B9R. Sleep consumed me within minutes, thanks to comfortable bellow suspension of the B9R. I woke up at around 12:30am to find the bus stopped at a roadside food joint with the a/c switched off and the doors closed. I realized that the crew was having their dinner however thought they could have kept the a/c switched on. A quick look around and I realized that I had reached Sirohi. I got down and looked around for the other B9R, however she was nowhere in sight. The crew returned back and by then my sleep was over. We resumed our journey and I decided to enjoy the journey upfront (like always). The friendly crew obliged and I settled down in my regular seat at the front. Within few minutes after our departure, we were stuck in a traffic jam, thanks to a senseless trucker who could not judge the curvy roads leading out of Sirohi ran the left portion of his truck on the rocky walls and getting stuck. After wasting 30 minutes, we rejoined back on the main NH- 14. There were hardly few vehicles on this stretch and our driver decided to make the best out of the same. The beautiful moon light kept us accompanied and a quick look towards the sky and one could spot Contrails being added by the exhaust of a high flying aircraft. The bus sailed through the highway and the driver was skillful ensuring the speeds were kept under check. We crossed Abu road and headed towards Mehsana. The driver rarely honked and used dippers while overtaking. I decided to head back to sleep as I still had a lot left in the journey and I had decided to make the best of the same. We reached Paldi at around 6:30am and pulled over to drop and take in few more passengers. The place was buzzing with activities with buses coming in from all corners to drop or pickup passengers. I woke up and met Imitiaz Chopda, a friend of mine. After almost a 45minutes stop, we resumed our journey and headed towards Narol, our next pick up point. We passed by Vishala Parking and entered Narol. We had a lone passenger boarding here and we thought we could make it quick and head out back on the highway. However the passenger had other plans and made us wait for 45minutes. I resumed my sleep again only to wake up once to see the beautiful NE-1. I resumed back my sleep and we finally pulled over near Bharuch. I had some unpleasant memories of Bharuch. All thanks to a journey from Ahemdabad to Bangalore in 2013. The break was quick and we were soon back on the highway. Bharuch is situated at the mouth of the river Narmada. The Sardar Bridge which runs across the Narmada Bridge was in the worst possible conditions and due to heavy vehicles, mostly trucks, only a handful of trucks are let on the bridge at a given time. However we took the new bridge constructed and zipped past the never ending queue of traffic which was waiting to cross the bridge. We entered Surat at around 12:10pm and were welcomed by a speeding SRS heading back to join the highway. We both honked at each other as we slowly made our way towards the traffic filled street of Surat. The delay in departure from Ahmedabad and Surat ensured we took a late lunch break. We pulled over at Hotel Nilgiri. Everyone made a dash into the hotel to fill in their stomach. The food quality was average but the prices were not. Just as the name of the hotel, even the prices were very steep. We resumed our journey and so did I with my sleep. I woke up to find we were in Lonavla and tarted to witness an awesome display of lightning streaking out of the clouds and within no time, the skies opened up. Moderate showers ensured we reduced our speeds. Our driver was now letting fast moving vehicles move by staying away from the fast moving lane. We pulled over a tea break near Talegaon Toll. 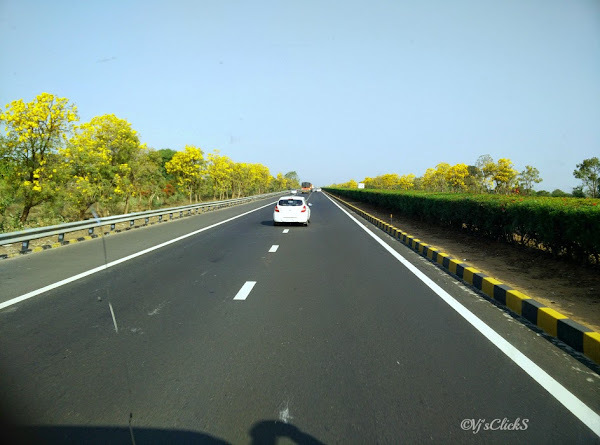 After a brief halt, we were back on the highway heading towards Pune. Knowing Pune traffic, I was sure it would take more than hour to get in and out of Pune. However, I was in surprise as the traffic was very less and we reached Katraj by 21:15hrs. We had a lone passenger getting down and no sooner we dropped him, we moved on without wasting any more time. As the bus returned back on NH-4, I felt I was already home as this was one familiar stretch that I am used to traveling. As expected we pulled over in Natraj and the place was already full. 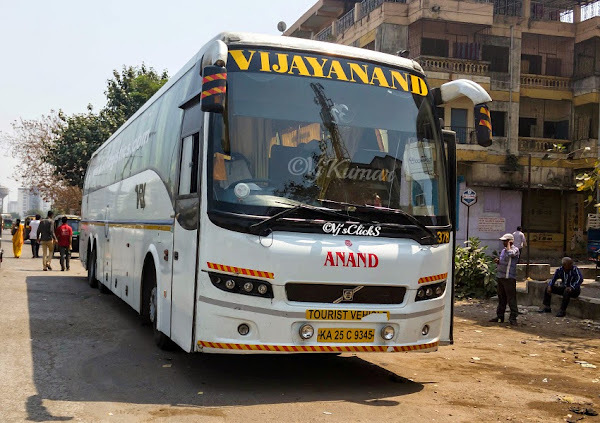 A couple of Club class buses, a single axle Neeta merc, SRE rear engine a/c sleeper, VRL non a/c sleeper and the Jodhpur service of VRL were all lined up. As we lined up in an empty spot, we were soon joined by National’s ‘Chandini’ and Sharma B9R sleeper. The place was filled to the brim with chaos everywhere. Our dinner break was very long considering the rush and by the time we resumed our journey most of the buses had left including National and Sharma B9R. 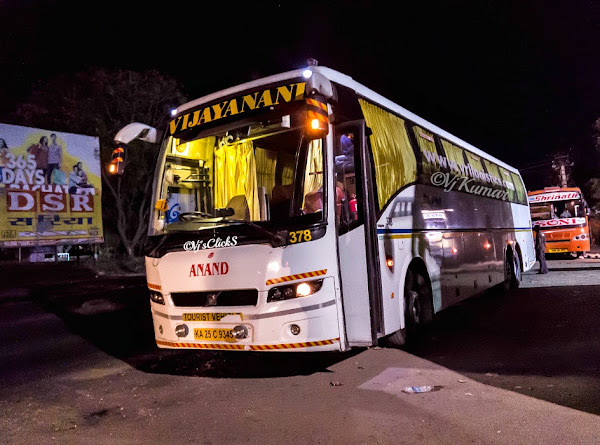 We resumed back on the highway and within no time caught up with National’s ‘Chandini’ and after a couple of kilometers we overtook the Sharma Sleeper. During our dinner break, my friend Prashant plotted a plan to meet up in Hubli. 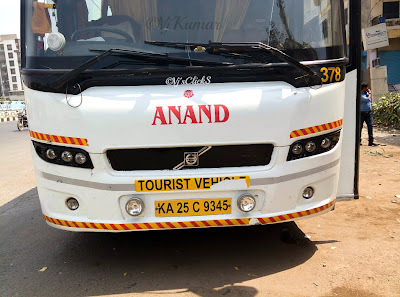 I checked with the crew and they were still not sure if a pickup bus was being sent to the Karwar Bypass or would be going inside Hubli to drop the passengers and the parcels. We resumed the journey with a state of confusion keeping in touch with Prashant at each passing mile. We finally crossed our Third state and entered Karnataka. We pulled over at the checkpost at around 1:45am. Finishing the formalities here, we proceed further and were cruising at good speeds. We quickly passed by Belgaum. The crew called up the Hubli office and was instructed to enter Hubli. We crossed Dharwad and in within no time we entered Hubli city. After meeting Prashant and exchanging pleasantries, it was time to move on. We departed from Hubli around 4:30am. I decided to get some sleep now and the last thing I remember was joining back NH-4 before sinking into a deep sleep. I was woken up by the crew and saw that we were in VRL’s checkpoint in Chitradurga. The bus was being fueled and with great difficulty, I checked the time and it said 7:00am. The crew gave ample time for passenger to fresh up and have breakfast. We departed at 7:30am and I resumed my sleep expecting the bus to reach Bangalore by around 11am. I woke to find that we had already reached Gorguntepalya junction and when I saw my watch, it read 10:00am. I was just amazed at the way we covered the final leg of the journey. Bangalore traffic certainly did not fail at giving any surprises. 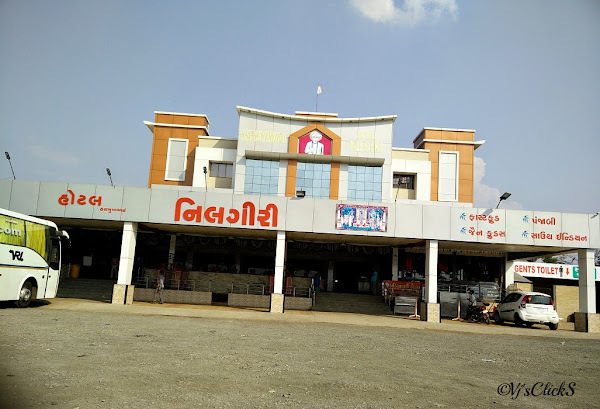 It took quite some time to cross the Yeswanthpur junction and with my alighting point around the corner, I grabbed my bag and within no time I was in Navrang. I bid good bye to the wonderful crew and alighted from the bus after completing the journey on the longest intercity Bus route in India. 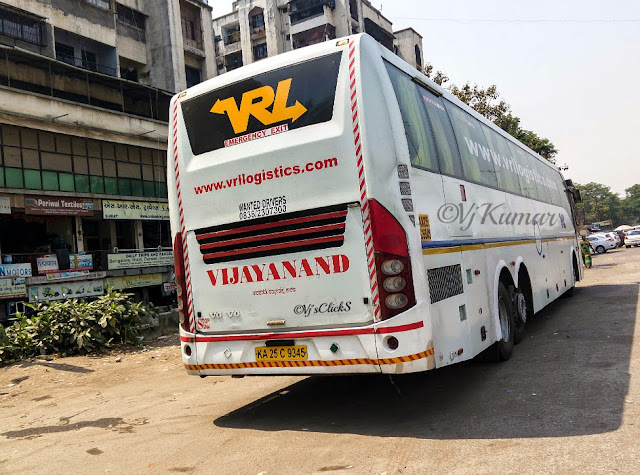 Honestly, I am not sure when I will or if I would get a chance to try this service again but I was certainly not disappointed by VRL. Full marks to the crew and their efforts to ensure passengers have a comfortable journey on this stretch. Breaks at regular intervals, a super friendly crew and a very well maintained bus was the perfect recipe for this incredible journey.